Why is small business such a big deal? According to the Small Business Administration, more than 99 percent of American enterprises fall into the “small” category. That’s a good reason! If your company falls into the mix, be sure you’re opting for the best cloud storage you can get. All it takes is one power outage or technology failure to find yourself in a rough patch. The good news? With the best cloud storage partner on your side, you don’t have to lose sleep. Below are five ways to ensure you pick a cloud solutions provider that meets your IT outsourcing needs. Just as you’d make a list before buying any equipment or making a capital investment, always map out your budget when cloud supplier browsing. Consider you can invest upfront, as well as what you want to absorb in ongoing fees. Be realistic, understanding that you do get what you pay for up to a certain point. One note: Think about how much time and money you’ll save elsewhere. The cloud industry is constantly changing, and you want your cloud storage partner to stay ahead of the pack. How can you tell if you’re investigating working with a leader? In general, the provider should be able to talk easily about everything from cloud-related artificial intelligence to virtual reality. Is your small business planning to scale in the coming years? Do you already have a plan in place to achieve higher levels of production, revenue, and service? You’ll want to choose the best cloud storage option, volume-wise. Tell possible cloud partners what you need today. Then, find out how they can realistically work with you should you expand. If you get the feeling that a cloud service provider won’t be able to deliver if you scale as predicted, find one that can. While it may not matter to you where your information is being stored, it could have legal ramifications. Ask your top cloud provider possibilities where their servers are located. If they’re counting on servers located outside your country, talk with your business attorney to make sure this won’t affect accessing your data now or in the future. Encryption is good, but not good enough. You want your cloud services and solutions partner to have air-tight policies governing your stored information. Even if the price is right and the volume is perfect, ask your top provider about security measures. You’ll want to choose a firm that leaves no stone unturned when it comes to protecting clients’ data. 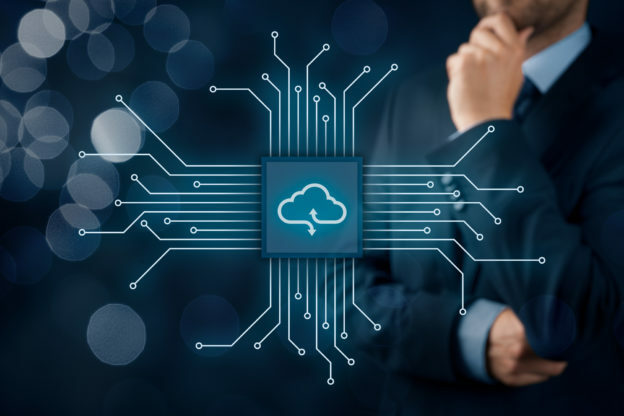 With so many small businesses ready to invest in cloud computing, you can rely on the fact that there’s one for your organization. Do your homework and you’ll soon find a partner for the years to come. Looking for ways to stay cyber secure in and out of the cloud? If so, read our best cybersecurity tips specifically meant for smaller companies.